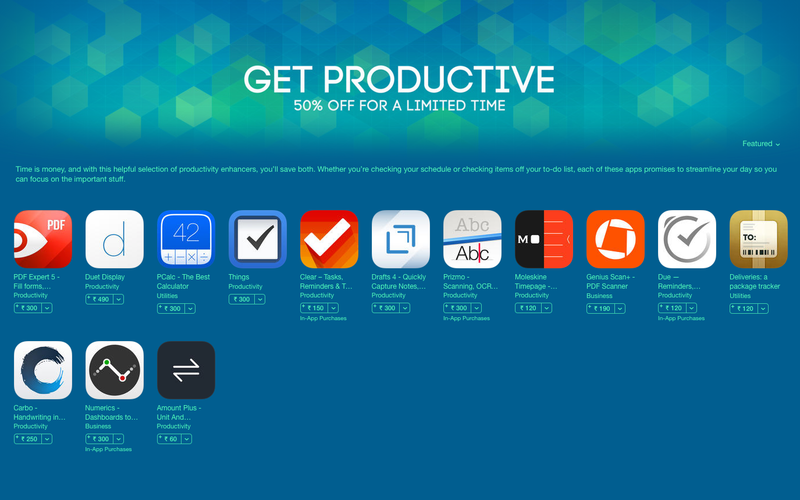 As part of the on-going ‘Get Productive’ promotion on the App Store, Numerics is available at 50% off for a limited time! All in-app purchases have been discounted by 50% too! If Being Productive is your resolution for 2016, then measuring your KPIs is the secret to keeping it and Numerics can do just that. Numerics securely aggregates and transforms your key performance data into beautiful, rich KPI dashboards, so you can focus on numbers that matter to you most. Stay informed, focus on your goals and make better decisions. Numerics is available for the iPhone, iPad, Apple Watch and Apple TV enabling you to easily monitor your key metrics. Get Productive now with Numerics at 50% off!